Coffee, Coffee, Coffee! 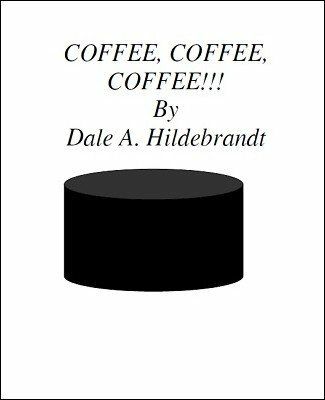 is a small collection of routines and effects from the published works of Dale A. Hildebrandt. From the eBook Triceratops comes "Baking Soda and Vinegar", an Oil and Water-themed effect; as well as "Devilish Plus"; which includes multiple ways to handle "Devilish" from the eBook Risk & Reward along with comments from Caleb Strange on how to get the most out of the method. Also along with Caleb Strange comes an interesting effect titled "Dogtagged" originally published in Cereal Is Good eBook; as well as being collected in The First Five eBook. "Dogtagged" is a perfect opener for the bizarrist or mentalist that wants to add a themed revelation as well as describing the horrors of war. And finally, we round things off with "Multikinesis" which has been previously published in the MindBlasters USA collection. All-in-all, you are sure to find something of interest to inspire you to new heights. 1st edition 2015, 33 pages.